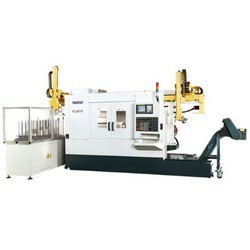 *Automation System is Always Our First Option Item We Recommend to Our Customer. *As men cost had been gone up considerably in each country, this system will be your wise investment. 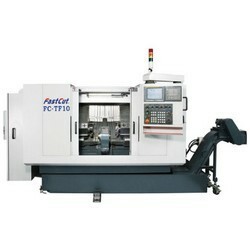 1.Both turning and polygon cutting are carried out at the same machine. 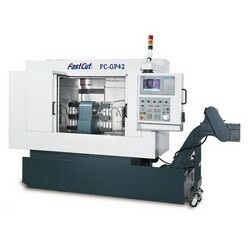 1.Gang type CNC lathe function for turning and cutting,also ID,OD turning and drilling. 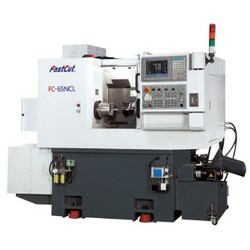 2.The most functional of CNC polygon machine with gang type CNC lathe for turning and cutting, also ID, OD turning and drilling. 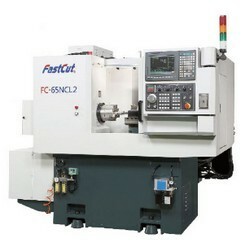 1.Allow one operator to operate two CNC lathe at the same time. Multiple effect will take place if more DP-11 are in production line. Saving production area. 2.Single spindle with two chunks, able to clamp two different diameters work piece. 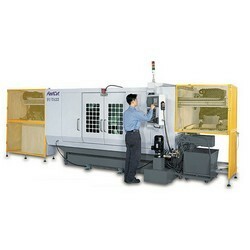 Two turrets can operate simultaneously and carry out different cutting process on both ends. 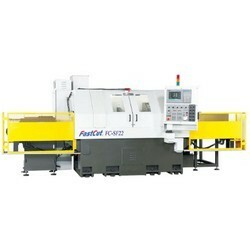 1.Single spindle, Two turrets, Twin CNC System Two turrets can operate simultaneously and carry out different cutting process on both ends. 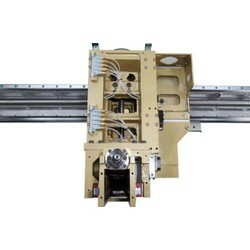 1.Each single spindle could operate independently. 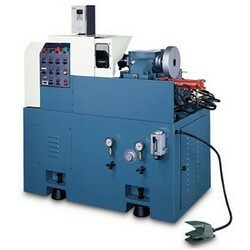 Twin spindle can cut simultaneously or sequentially. Unique design with worldwide patent achieved. 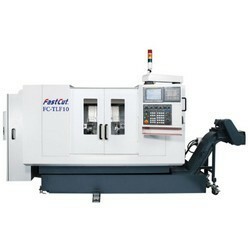 *Wide cutting range applies to even number polygon cutting , eccentric cutting , profiling cutting and 2 phase cutting etc. *Rigid construction , high performance , functions all in one. 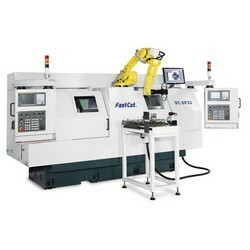 Six-axis robot arm for two machines.